If vengeance were a virtue, this week’s selection of the outstanding Bundesliga Matchday 21 statistics would rank well with the righteous. While running the rule over the weekend’s notable numbers, ripples of reprisal arose which merited closer inspection. Is your Official Fantasy Bundesliga team in shape ahead of Matchday 21? Head here to make your transfers! bundesliga.com takes a closer look at the defining digits going into this weekend's fixtures. Darth Vader was seen seeking revenge on the Rebel Alliance for their destruction of the Death Star when SV Werder Bremen last came close to losing four games in a row at the start of a Rückrunde (bear with us). It may not have been in a galaxy far, far away but it was certainly a long time ago – 1980 in fact, the year of the Empire Strikes Back – when Die Grün-Weißen had to endure the kind of negative numbers currently plaguing them since the start of 2017. A trip to 1. FSV Mainz 05 on Saturday now raises the prospect of a new and unwanted script being penned for Bremen, who have never before lost five straight at the start of the second half of a Bundesliga season. 'Like' the Bundesliga's official Facebook page! Leaving Lower-Saxony for Borussia Dortmund's SIGNAL-IDUNA-PARK on Saturday, VfL Wolfsburg coach Valérien Ismaël could do worse than goad Die Wölfe with pictures of Thomas Tuchel and the mention of Marco Reus. The Dortmund tactician has won all three games against Wolfsburg during his time at the helm of Die Schwarz-Gelben, even overseeing successive 5-1 wins during that run. 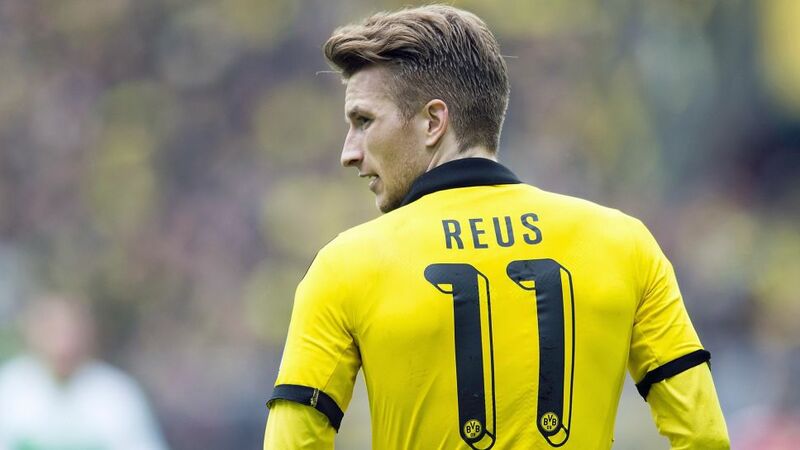 Reus, meanwhile, has scored nine goals in nine games against the team from the Volkswagen Arena, who in their last 15 matches against BVB, have shipped 40 goals. Indeed, enjoying a record run of 30 games without loss at their home fortress, Dortmund may not be so afraid of the big bad wolf after all. Follow this link for the Dortmund vs. Wolfsburg Match Centre! Hertha Berlin have been brave in their own back yard too, the capital club claiming eight wins in nine Bundesliga matches at the Olympiastadion this term. It may thus be time for Pal Dardai’s men to reverse a wretched run against visitors FC Bayern München. The Bundesliga leaders boast a 33-6 aggregate goalscoring lead against Hertha stretching back over the teams’ last eleven matches. If Dardai is to oversee a first win - or even a first goal - in his fifth game against Bayern while in charge at Hertha, inspiring striker Vedad Ibisevic out of a recent scoring slump would certainly help. The Bosnian has been without a Bundesliga goal since netting his 100th in the German top-flight some eight games (or 637 minutes) ago. Now, it’s not that we’re suggesting FC Schalke 04 bear a grudge against Sunday’s opponents 1. FC Köln for past woes, but the Billy Goats can brag that their biggest Bundesliga win came while beating the Royal Blues by 8-0. When the kings of Köln were more Wolfgang Overath and Hannes Löhr than Anthony Modeste, the Müngersdorfer Stadion celebrated sizable successes such as that Schalke scalp in 1969. Die Knappen will be quick to remind their hosts this weekend, however, that in the last 13 games between these teams, there has always been a winner, and it is Markus Weinzierl’s men who currently lead that sequence by 7-6. Click here for all the latest Bundesliga news and Matchday 21 build-up!